Beginner's Guide to Digital Painting in Photoshop is a new series dedicated to providing a comprehensive guide to the basics of digital painting in this versatile program. Whether you're new to this artistic medium or simply looking to improve existing skills, this book offers up a wealth of suggestions and advice to get you started, improve workflows, perfect techniques, and produce stunning images. The step-by-step tutorials within this book don't just describe techniques, but actively demonstrate how these techniques can be applied to an artwork. Industry veterans including Nykolai Aleksander and Richard Tilbury share the benefits of their years of experience in a clear and methodical fashion. They examine the various basic Photoshop tools on offer, shedding light on these features and establishing ways of successfully integrating them into an artistic workflow. Fundamental art theory is also covered, including classic topics such as composition, story-telling, portraying emotion, lighting, and color, leading to a thorough understanding of the components that make up a successful image. 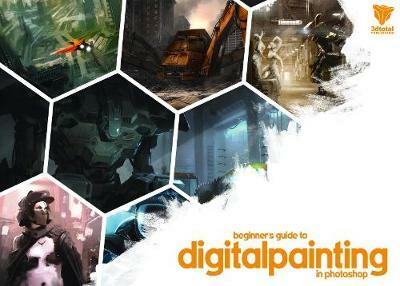 Instructive and inspirational, Beginner's Guide to Digital Painting in Photoshop is an ideal resource for anyone taking their first steps into the digital painting world. Nykolai Aleksander is a UK-based freelance character illustrator and portrait painter, who has been working in the CG field for the past eight years. Richard Tilbury is a freelance artist from the United Kingdom who works in both 2D and 3D and has been featured in a number of popular publications.